EA’s most beautiful game – the FIFA series – has proved a global success. It has sold a record-breaking number of copies, garnered numerous plaudits and awards, and established itself as the leading sports title on the market. Back in 1993, when the Premier League was still in its infancy, the Champions League a new-fangled term, and Lionel Messi had just started to kick a ball, EA Sports took a punt on the FIFA license for their first ‘soccer’ game. But, with the World Cup rights secured by a rival ahead of USA 94, bigwigs at the Canada-based firm started to fret that FIFA International Soccer would flop, and almost pulled the plug on what would become a seminal release. Instead, the game confounded all expectations and – despite being released in December – became the best-selling game of the year. EA had unwittingly stumbled upon a diamond. In FIFA Football, author Lee Price explores the history of the series including its gameplay and unique isometric camera angle, the battle with Pro Evolution Soccer for gaming supremacy, and the hi-tech software used to put together FIFA 16 – a release which includes women’s teams for the first time. It’s a series which continues to innovate and exhilarate. The book includes exclusive contributions from key figures in the FIFA story as well as behind-the-scenes insights from EA’s HQ in Vancouver. It also details the futuristic head-scanning process that captures the players you love, the world of FUT, YouTubers, competitive gaming, soundtracks, FIFA’s spinoffs, and so much more. 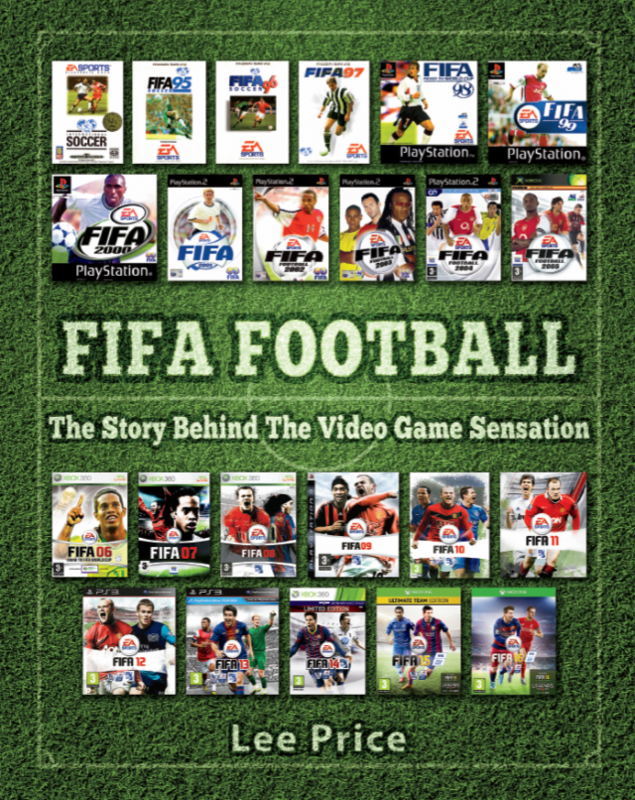 This is the definitive story of the FIFA video game. Book Categories: History and Lee Price.